Asphalt milling & overlay is often an affordable alternative to a complete asphalt replacement. 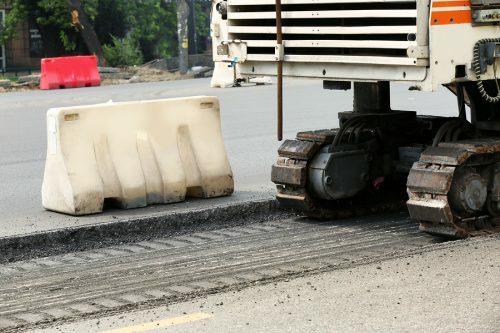 If your pavement has widespread surface damage, milling can be used to replace the surface layer, recycle the asphalt to be used in new pavement products down the road, and lengthen the life of the roadway or parking lot. What is Asphalt Milling & Overlay? Asphalt milling (also called cold planing) is a process used for pavement restoration. Equipment called a milling machine (or cold planer) is used to remove the existing surface layer of the pavement to a certain depth while leaving the sub-base intact. The machine grinds the asphalt surface with a large rotating drum and collects the ground pavement. After the surface layer is removed, an overlay will be applied to create a new surface. An overlay is just new hot-mix asphalt installed on top of the existing sub base. Asphalt milling is ideal for pavements that have widespread surface deterioration with a healthy sub-base. Compared to a full asphalt replacement it is more affordable, environmentally friendly, and easier to carry out. Besides repairing surface damage, it has a few other purposes. If your pavement has suffered severe surface damage, it is not possible to apply an overlay without milling the existing surface. If you are unsure whether a full asphalt milling is right for your project, don’t hesitate to give us a call. We will come out to your property at no cost to you and recommend the best course of action. The number one advantage of asphalt milling is the recycling of the surface pavement. As the cold planer collects the ground up pavement, it is deposited in trucks and taken to a plant to be used as aggregate in new asphalt products. 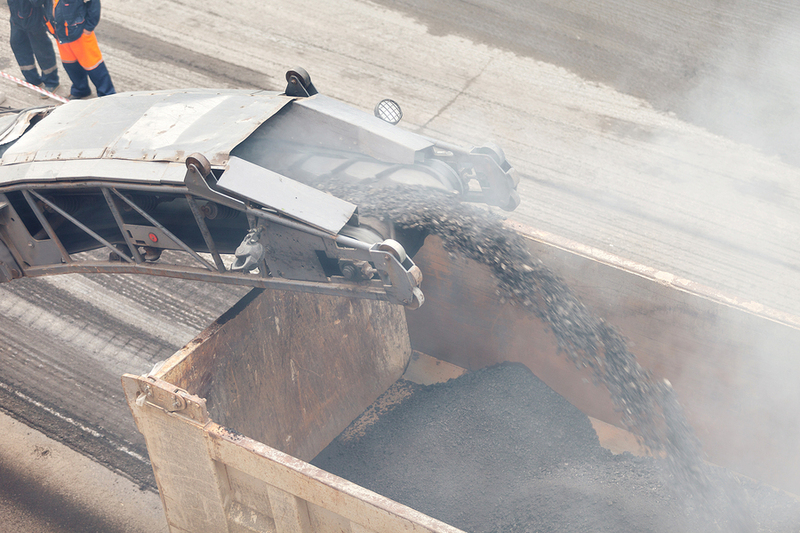 Did you know that asphalt is the nation’s most recycled product? An estimated 90 million tons of asphalt is recycled and reused every year. Surface asphalt can be recycled and replaced every 15-20 years. NVM Paving & Concrete is a full-service paving provider serving all of Northern Virginia and the surrounding area with premium asphalt and concrete services. We provide asphalt milling and overlay among other processes as a part of our commitment to provide the city with high-quality and reliable pavements. If your pavement is suffering from widespread surface damage or is elevated from multiple overlays in the past, just give us a call. One of our expert project managers will come to your site and let you know if asphalt milling is right for you or recommend another course of action. Whatever the case, we can conduct all kinds of asphalt repair and preservation to best serve your needs. We pride ourselves on our commitment to superior workmanship, competitive pricing, and dedication to customer service. Reach out to us today for a no-cost, no-obligation estimate for any and all paving services. Contact us at 1.866.291.PAVE or [email protected] to discuss your asphalt repair or reconstruction and request a free cost estimate.